What is the definition of a Superhero? A fictional hero having extraordinary or superhuman powers. While that may be true, I think a Superhero defines so many more. Including Doctors, Nurses, Paramedics, Firefighters, Soldiers, and Police Officers. Tom over at Tom’s Take On Things was a Paramedic for 24-years. He is also a Veteran of the U.S. Army and served in Desert Storm/Shield. In his life career, he has met plenty of people that he would call “heroes”. Giveaway ends 12/22 at 11:59 pm EST. Open to residents of the U.S. and Canada. Blogs helping promote this giveaway were not compensated in any way. 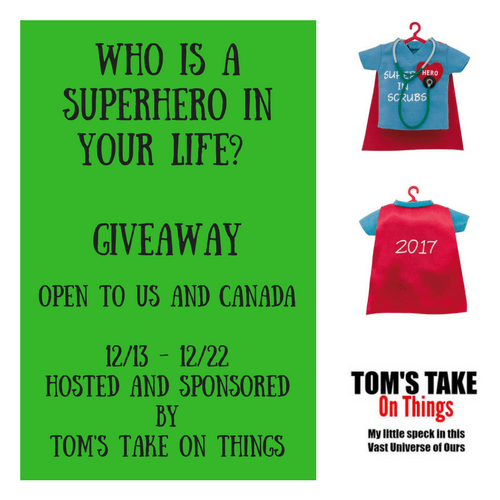 Prizes will be delivered by Tom’s Take On Things. My parents were my superhero. My nephews are my superheros. My friend has given so much of herself and her heart to her job in the nursing field. She has had a rough year, losing a parent and then a pet and i’d love to give her this little something to let her know she has my admiration. My sister. She’s going to become a nurse practitioner in February. My daughter who is always helping others. My children are my superheroes, I would say they saved my life and made me a better person. 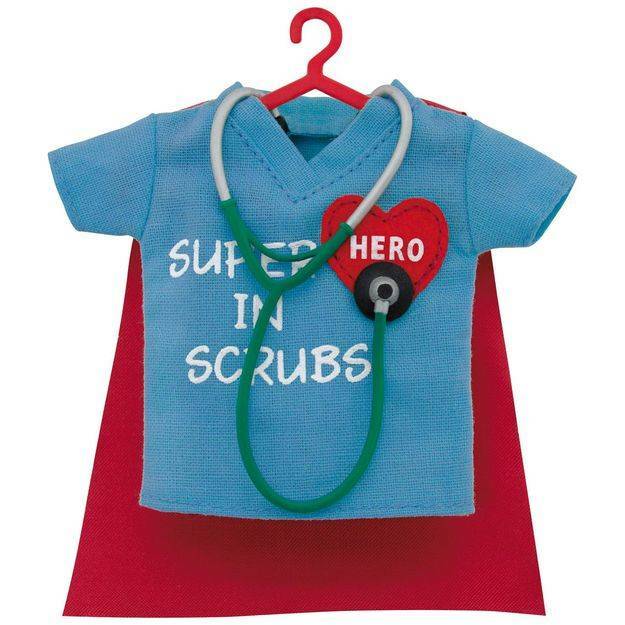 God is my main SuperHero, then my hubby…but I’d love to win this for a NeoNatal Nurse I know. Thanks and God Bless! My parents were always my superheros and I try to be for my kids and grandkids – my parents taught us to appreciate EVERYONE and their talents as we are all superheros in our own way! Appreciation and respect can go a long way! My fiance is the superhero in my life. He is an Army veteran who served our great country. I also have many police officers in my family who I consider heros as well. Great post, these are adorable! The superhero in my life is my dad! He does so much for everyone & never stops moving! My friend Terri who is a nurse.